From the Main Stand by Maurice Price : Saturday 30th April 1994 : The last day of the standing kop. 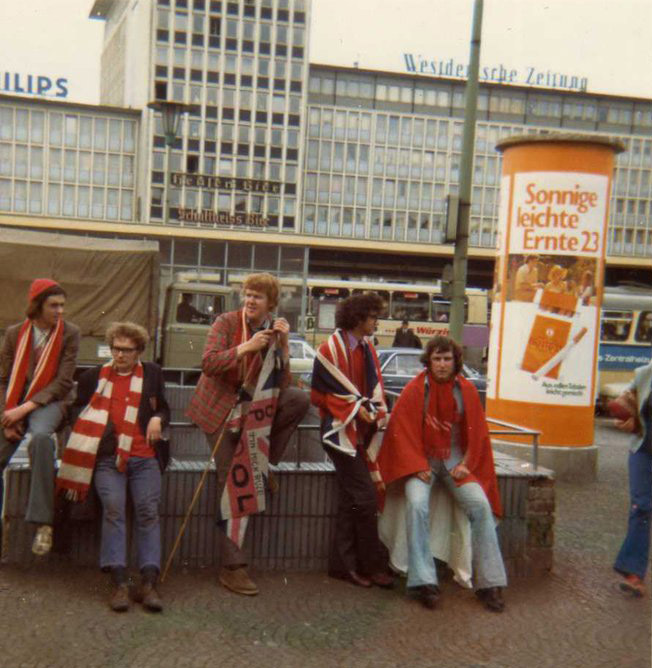 Outside Monchengladbach station on the morning of the 1973 UEFA Cup final in Germany. Me - second left, aged 20. Me on the left, Tommy Smith in the middle and Ray on the right. Early 1980s I think.